For women facing infertility due to anovulation (lack of ovulation), or irregular ovulation, due to PCOS or other fertility issues, Clomid is often one of the first fertility medications suggested by doctors. Why? According to the U.S. National Library of Medicine, clomiphene, aka, Clomid, “is in a class of medications called ovulatory stimulants.” This drug is a selective estrogen receptor modulator (SERM). It increases production of gonadotropins (hormones released by the pituitary gland) by inhibiting negative feedback on the hypothalamus. It is used for ovarian hyperstimulation for (in-vitro fertilization) IVF preparation, and to stimulate and regulate ovulation in women with anovulatory cycles. It is most commonly used for women with PCOS. To make a long story short- this drug forces the body to ovulate, sometimes stimulating multiple follicles to ovulate. Other side effects include mood swings, headaches, fatigue, and breast tenderness. In approximately 30% of women taking Clomid, their cervical mucus will become hostile to sperm, thereby preventing conception. There are many other rare side effects, including possibility of ovarian hyperstimulation syndrome and ovarian rupture. The risk for this goes up with each subsequent round of use. If you are reading this article it is probably because you are considering using Clomid or have used it in the past. It may be that you are preparing to go for IVF. But the main reason you are here is because you want to know if there are natural alternatives to Clomid. After all we are dedicated to bringing you the best information on natural therapies for fertility. We want you to be the most vibrant and healthy person you can be. Sometimes despite our best intentions in life, we still end up going for medical fertility treatments and you know what, that is okay! But before you go down that road, consider the best alternatives to Clomid, ways to naturally bring about ovulation and a regular menstrual cycle. Before beginning Clomid think about your long-term health. While Clomid may help you get pregnant right away, it does not solve the root of the problem. Have you asked yourself, “Why am I not ovulating?” Fertility Herbs work with the body, to bring about real change long-term. This benefits your fertility health in the long run. The overall goal would be to support the overall health of the body, as this will bring about the greatest reproductive health. The berry of this small tree has been found to help normalize ovulation. Vitex supports hormonal balance in the body by having an effect on the hypothalamic-pituitary-ovarian axis (hormonal feedback loop), correcting the problem at the source. Vitex has been used to reduce Polycystic Ovary Syndrome (PCOS) with great results. This herb takes time to be effective, but works to normalize the entire menstrual cycle, not force ovulation. Maca promotes hormonal balance overall, and is nourishing to the endocrine system, which controls hormone function. This herb has been shown safe to combine with all the herbs on this page. Tribulus may normalize ovulation in infertile women when used prior to ovulation. In her text Botanical Medicine for Women’s Health, physician, midwife, and herbalist Dr. Aviva Romm shares of one study performed on 36 women who were not ovulating, showed that that 67% realized normal ovulation after only 2-3 months of consistent use. Tribulus has also been found to be a nourishing tonic for the female reproductive system as a whole, especially concerning the ovaries. Rat studies out of Islamic Azad University in Iran, showed that this herb promotes normal ovarian function and the reduction in ovarian cysts. Tribulus has also been found to reduce antisperm antibodies. Shatavari’s main constituents are steroidal-sapponins, suggesting its use as an estrogen regulator, the estrogen modulating in turn may contribute to menstrual cycle regulation. This plant has shown to protect the body from stressors, including stress related infertility issues. It combines well with Tribulus. Shatavari is a supportive female reproductive health tonic. Supports healthy cervical mucous production. Can Clomid be Combined With Herbs for Fertility? No. We do not recommend using any herbs for fertility during a fertility medication cycle. A cycle is about one month, or one menstrual cycle. Even if you are using a fertility medication for only one part of your cycle, we do not suggest using any herbs for fertility during other times in that same cycle. Clomid is usually given for 5 days in the beginning of the cycle to stimulate ovulation. Just because you are not taking it for a full cycle, it is best to not use any herbs for fertility in that same cycle. Plan ahead. If you are thinking of starting a fertility medication, make your doctor appointment for about a month after weaning yourself off the herbs you are taking. Continuing a multivitamin, cod liver oil, whey protein powder and spirulina would be fine. The use of Clomid for IVF as part of ART (artificial reproductive technology) is also a common practice. Let us consider for a moment that IVF is usually an infertile couples last choice. How successful is ART? Thank you for great information. My period have only 24-25 day and anovulation. I’m using Maca and Dong quai for 1 month. Last cycle i took Tribulus for ovulation. But ovulation not occurs. Should i take something else?. Should i choose Vitex instead of Tribulus? Maca, Dong Quai and Tribulus take more than one cycle to be as effective as they can be for you. They all can be combined with Vitex if you feel you may benefit from it as well. 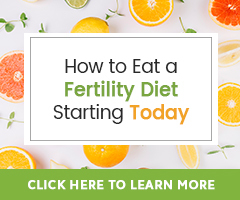 Know that in general, we suggest following a natural fertility program consistently from a minimum of three months to see how things begin to shift. Here too are two other guides with information you may find helpful: 5 Simple Ways to Promote Regular Ovulation and Getting Ovulation Back on Track. Tribulus can be taken with Vitex and Maca. This is fine! A natural alternative to Clomid. Where may these be sourced please? Vitex, Maca, Tribulus, Shatavari and Pregnancy Prep are all available from the Natural Fertility Shop. I have PCOS and had IVF 6 years ago after trying clomid for 9 months. My IVF resulted in a beautiful baby boy. I have since been pregnant without treatment but sadly miscarried. I am wanting to try again naturally but have a very irregular cycle. Can you suggest what is the best thing to take to increase my chances of becoming pregnant? I am so happy for you, yet sorry for your loss! Hi, I am 30 and was diagnosed with PCOS and Endometriosis 2 years back. I am trying to conceive since then, but no luck. I had a Laprotomy to remove my endometriosis cyst but I am still struggling with infertility. During the surgery the Dr found that one of my Fallopian tube is blocked. I have ordered Vitanica Pregnancy Prep a few days ago as I didn’t want to take any hormonal medicines (Clomid) prescribed by my doctor. I am trying to eat clean and lose weight. Is it ok to take Vitanica Pregnancy prep with all these conditions or do I need to take any other herbal supplement as well? I am currently taking prenatal vitamins and Folic acid. Thanks in advance. I am sorry to hear of your struggles! It is important to know that endometriosis is estrogen-sensitive, meaning that it responds to estrogen — growing in response to circulating estrogen. Excess estrogen in one of the main culprits in causing not only it’s growth, but also hormonal imbalance which then causes disordered ovulation and it’s growth outside of the uterus. Consider learning how to via this article: http://natural-fertility-info.com/endometriosis. Do consider these tips even now after the procedure you went through. While Pregnancy Prep may be fine, there are other natural ways to support the body as well. Consider also learning about Fertility Massage with Radiant Womb Massage Oil as a supportive natural therapy. Know also that with one functioning, healthy fallopian tube conception may happen the months that ovulation occurs from the ovary on that side. Ovulation happens from one ovary one cycle and the other the next – the event alternates from side to side. So, knowing this, it is also going to be helpful to learn the tools available to help you detect ovulation (if you do not already do this). I’m currently on Glucophage (metformin) 500mg (twice a day) for my PCOS. Is it safe to take these herbal supplements in the article along with it? Also, are all of the herbal supplements mentioned compatible and safe to take together? I’m experiencing a lot of fatigue with Glucophage, which is making me wonder if there is a way to take supplements that give me energy, or, last resort, if I should give up Glucophage altogether. All of the herbs in this article are safe for combination, except I wouldn’t combine them all with Pregnancy Prep. I would say choose a couple of those individual herbs, or choose Pregnancy Prep. We cannot suggest you combine these herbs with Metformin, but you can ask your doctor if it would be okay. I just replied to another woman’s questions, in which she was suggested to take Metformin and Maca by her doctor. If your doctor says it is fine, then great. These herbs don’t interact with Metformin in an negative way, as far as I can tell through my research, but it is always safest to talk to your doctor about it first. I have read that tribulus is for men so I’m nervous to try it. My periods have been irregular since I’ve started them. Have you heard of any side effects from women adding these testosterone supplements? Fertilica Tribulus is for women and men! It has differing actions in both sexes. The prior link and this Video about Fertility Herb Tribulus will help you learn its benefits for female fertility health. The herbs and nutritional supplements discussed in this article have a nourishing actions on various systems of the body instrumental for maintaining hormone balance. They do not contain testosterone. If you would like support in learning if Tribulus is right for you, consider working one on on with a fertility herbalist through a Fertility Consultation to receive a natural fertility program (that may include herbs) created specifically for your needs. I am 35, TTC for 3 cycles. I had 28 to 33 day cycles before TTC. After first month TTC I had a 16 day period ( usually 3-4) days, and then a 51 day cycle. Blood HCG test was negative. I have had one 43 day cycle since. Now first time charting so far OPK with BBT suggesting anovulation. Provider suggested Clomid, however I am not open to starting it, but would like to support my reproductive health naturally. Any suggestions? I am 25 years old TTC. I stopped Novaring 2 months ago. I have been monitoring my BBT since stopping BC, but the first month showed that I didn’t ovulate. I’m now on the second month and I’ve been using OPK with BBT, but still no positive ovulation (although no AF either). Would Tribulus be right for me this early and what are the side effects? It is known that it can take some time, up to a year, to rebalance hormones after birth control use. While Tribulus may be considered a part of a natural hormonal balance program, there are other things we feel that should be considered as well, like supporting healthy liver function, eating a whole food diet, managing stress, etc. Each of these and more are explained in our guide that discussed How to Balance Your Hormones After Birth Control. Consider reviewing this guide and let me know if you have questions. Hi! I am 39 years of age and have been trying to get pregnant for four years. I have mature follicles, but I do not ovulate at all. My doctor prescribed me Clomid for 3 months and it did not work for me. I did ovulate one month, but it was very weak. They now want to proceed with IVF, but we cannot afford the procedure. Will any of these herbs help? Where can I purchase affordable fertility herbs? Clomid may be one of the most commonly prescribed prescription medications used to coax the reproductive system into behaving as it should on its own. It forces the pituitary gland to “improve stimulation of developing follicles, or eggs, in the ovaries,” by stimulating the release of FSH and LH, which is turn forces ovulation to happen. It is important before considering herbs, to learn and address why anovulation is occurring. Consider referring to the article Getting Ovulation Back on Track as a starting point and then know that the herbs discussed in this article could be a part of a natural fertility program. We stand behind the Fertilica brand which is available from the Natural Fertility Shop. These products of are high quality, made in small batches to ensure this, as well as freshness, and GMP certified and organic whenever possible. Hi there! I am 24 yrs old and a PCOS patient. I am 1 year married and we wanted to have a baby but then my health condition affects my ovulation. I feel dry always and I think that I am not ovulating at all. If I take Clomid how long will it take for me to have a baby? I am sorry there I do not know how long it will take you to conceive after taking Clomid and I don’t know if your doctor would be able to answer this either. Taking Clomid does not ensure ovulation, conception, or a healthy pregnancy. It is a medication that works for some and causes further hormonal imbalance for others. We feel it much more beneficial to address diet and lifestyle in order to support he body is re-learning balance and managing PCOS. Once dietary and lifestyle changes have been made, women tend to see better results from the herbs, nutritional supplements and natural therapies they try. PCOS is known as a complex endocrine system disorder, but can be managed well when a commitment to changing diet and lifestyle is made. It may help to learn how to support the body in re-learning balance by promoting healthy hormonal balance, a healthy uterine lining, regular ovulation, improved estrogen metabolism, reduced cravings for sweets and improved digestion. The article How to Reduce the Damaging Effects of PCOS on Fertility Through Diet and Herbs will help you do that. I am 31 and have recently been diagnosed with Hypogonadotropic Hypogonadism after not having a period in almost 2 years. I got my period naturally late-ish in life (16 years old) and was pretty irregular until I was 19 and started birth control pills. I was on the pill for 10 years and then, when I stopped taking it, never got my period again. My fertility specialist told me that in order to get pregnant, I will need fertility treatment because there is no way that my brain will naturally send FSH to my uterus to begin ovulation. I can’t help but believe that there is a natural way to restart that connection. Thoughts or suggestions would be greatly appreciated! Thank you! I’m sorry to hear about your struggles and challenges at such a young age! The ability for herbs, nutritional supplements and natural therapies alone, to as you say “restart that connection,” may depend on the cause of the Hypogonadotropic Hypogonadism. Given possible causes and the complexity of this fertility health issue, it may be best to seek the one on one support of a natural healthcare provider, like a naturopathic doctor, near you. Consider also working with our Fertility Herbalist through a Fertility Consultation. This is one way to have created for you an holistic natural fertility program based on your specific fertility health needs. I would like to take clomid- however I am afraid of the effects it will have on me and my baby. I also really want to take it to have twins. Are you aware of the side effects of Clomid? Are there any herbs that will stimulate ovulation to release more than 1 egg? Clomid is a drug that helps to induce and regulate ovulation and is usually prescribed for women with anovulation. Each of the above side effects may prevent actually prevent conception. It is a myth that there are fertility foods and herbs that will help a woman conceive multiples. Consider reading our article Are There Natural Remedies to Help a Woman Conceive Twins? There are 5 Simple Ways to Promote Regular Ovulation that also promote overall fertility health that you may be interested in learning about as well. I hope this is helpful and that you will reconsider using Clomid when if it is not needed. I am 40 years old and my last periods was in May 2014. My last time i had a child was in 1996, now i am desperately want a child for my husband. Please advise me what can i use to make me pregant. It may first help you to understand what led to or may be contributing to your absent period through testing with your healthcare provider. Knowing the cause will help you know how to best support your body in relearning balance. Another great place to start learning how to naturally support your body is through our guide on How To Get Your Period Back. Hello. I was reading this, and wondering how long I should stop taking the fertility herbs before treatment with Clomid. Last time I used Clomid it resulted in an ectopic pregnancy, and the doctor wants me to use it again next time. I was taking Fertility Blend (fertilityblend.com) up until about 4 days before I started the Clomid, I felt like this was a bit close, but I completely forgot I was taking it. Next time I don’t want to take any risks, I’ve already got a 1:10 chance of another ectopic anyway. I’m expecting a parcel from you any day soon, going to start with the cleanse and go from there, so next time I may be taking your mix. How long do I stop before the Clomid? I am so sorry this was your experience. We actually do not know if hormone regulating herbs will interact negatively with Clomid or IVF medications. It is because of this that we have to suggest that the two not be mixed. Any herbs and supplements that have an affect upon the hormonal system should be discontinued once you begin your medications. There are no hard and fast rules about the number of days, but because you are concerned, consider discontinuing two weeks prior to starting any medication. It may interest you to learn about natural alternatives to clomid as well. Hi there! I’m 27 and TTC, recently diagnosed with PCOS. I talked to my OB and asked if she would give me Clomid, she refused to. First she gave me Provera to induce my period. She asked me to lose 15lbs (I am now 120lbs. She wants me to be 103-105lbs only) and is hoping that I can ovulate naturally. I’m concerned about her approach. It seems that we are not treating my PCOS right. I really want to get pregnant soon. In my culture, 27 is kind of old for getting pregnant. I will be honest, I personally don’t have a great understanding of how cultural beliefs (other than the American culture) impact a couple’s efforts to conceive naturally. It is a grey area for me and I desire to learn more. That being said, I am sorry you feel pressure at the age of 27, as we feel this is still young and that there is time to take not only to support your reproductive system health, but also to conceive. Irregardless, it may take some time to support your body in re-learning hormonal balance. We feel it is important to consider not only support healthy ovarian function, but also a healthy uterine lining, improved estrogen metabolism, and a reduction cravings for sweets and improved digestion and weight management. The goal of our programs is to support the body in re-learning balance and/or supporting balance when fertility issues are present. The great part about herbs, supplements and natural therapies is that they often work wonders in doing this given commitment to dietary and lifestyle change is made as well. My question is, how can I start ovulating naturally?? I was fine before surgery and now it’s this… Or should I have patience and wait for the herbs to work? Patience is key! If you are currently working with a healthcare practitioner and they have you on a program, it is best to follow that program for the suggested amount of time before you change it or start a different program. Health results take time to appear in general 1-3 months. This being said, consider also learning 5 Simple Ways to Promote Regular Ovulation from our perspective. It would be best to speak with your acupuncturist if you are interested in taking any herb or nutritional supplement you read about. Wishing for you patience and ease as you continue to support your fertility health! I’m 41 and have been diagnosed with premature ovarian failure. Basically, I have started the menopause. What herbs can you recommend to restore ovulation? There are a number of factors to consider when working to naturally support ovarian health and function. Sending you peace and positivity as you work at Understanding Premature Ovarian Failure and choosing the best program for your needs. I would like to know what I can take to ensure that I ovulate mature follicles. I have very regular cycles and the doctor confirmed that I do ovulate but my follicles don’t fully mature. We successfully conceived on our first clomid/IUI cycle but I would like to try naturally this time around. Please advise. Thank you. Consider learning more about AMH, Ovarian Reserve, & Continued Follicle Production as well as naturally supporting follicle (ova) health. While I am not aware of where in Kenya you can get the herbs discussed here, you are welcome to order for The Natural Fertility Shop. Please contact our customer care team for guidance on how to order product from The Natural Fertility Shop if you live in Nigeria. They are happy to assist you. I have small follicles on my ovaries and all ultrasounds are negative for problems or cysts. My periods are very irregular. I have been trying to get pregnant with my husband for one year. My doctor doesn’t think I’m ovulating. What herbs would you suggest for me? I currently take a prenatal, biotin and fish oil daily. Will these interact with any herbs?? You can take a prenatal multivitamin, biotin and an omega supplement (fish oil) with herbs. This article details herbs that you might try. We have found that your body better responds to a natural fertility program if you first do a Fertility Cleanse. It may benefit you to learn more about Biphasic Herbal Formulas to support the proper timing of your entire menstrual cycle and hormone balance. You may also want to consider a Natural Fertility Consultation if you are still unsure of where to start. Our Natural Fertility Consultations provide you with a personalized written guide and audio recording describing to the best natural therapies, herbs and supplements for your unique fertility issues. this is my second post on your site the first was early in this month, kindly do check that in order to review my history. Today i have been to my fertility Dr and she told me the cyst they have removed last november was not endometrosis that was only normal cyst. Now she prescribed me to start taking clomid D2-D6 from my next cycle. but currently i am taking vitex since 2 months, Maca and evening prime rose i have started this month. if no luck this month i would be taking clomid from my next cycle plus Dr prescribed some blood test also during clomid cycle. My QUESTION here to you is during clomid cycle which herbal medicine i should continue and which should stop..! I hope you don’t mind that I answer for Dalene as she is currently out of the office and I want to get you an answer sooner than later. We do not advise combining herbs that have an effect on hormonal balance with Clomid. You would want to stop taking Vitex, Maca and Evening Primrose Oil when you begin taking Clomid. I am currently taking Vitex, and this is only the end of my first month. I was wondering if vitex can be taken in combination with Tribulus or Maca. I really would like to try tribulus, but the vitex has helped me feel much better already so I don’t want to stop that. Yes, Vitex may be combined with Tribulus and Maca. All three are fine to take at the same time. I am glad to hear you are happy with the way vitex is making you feel in just the first month of use. I ‘m 43 year old now . I want to have another baby . What should I do or take?